In a battle between a fantastic attack and a fantastic defense, the latter prevailed, as two penalty kicks — one made, one whiffed — and a late insurance goal gave the U.S. a 2-0 win over Germany and a berth in the Women's World Cup soccer final. After American forward Alex Morgan tumbled over a German defender — a foul that appeared to occur outside of the box — forward Carli Lloyd got a penalty shot past Germany's Nadine Angerer, whom the U.S. had kept busy all night. The United States pulled out a victory against China on Friday night in the Women's World Cup, winning only 1-0 despite dominating the match. Midfielder Carli Lloyd's header in the 51st minute made the difference, but the U.S. kept pressure on China all night long and had 17 shots to China's 7. The Americans won and advanced to the quarterfinals at the Women's World Cup, but lost midfielders Megan Rapinoe and Lauren Holiday for its next match, as each received her second yellow card of the tournament. 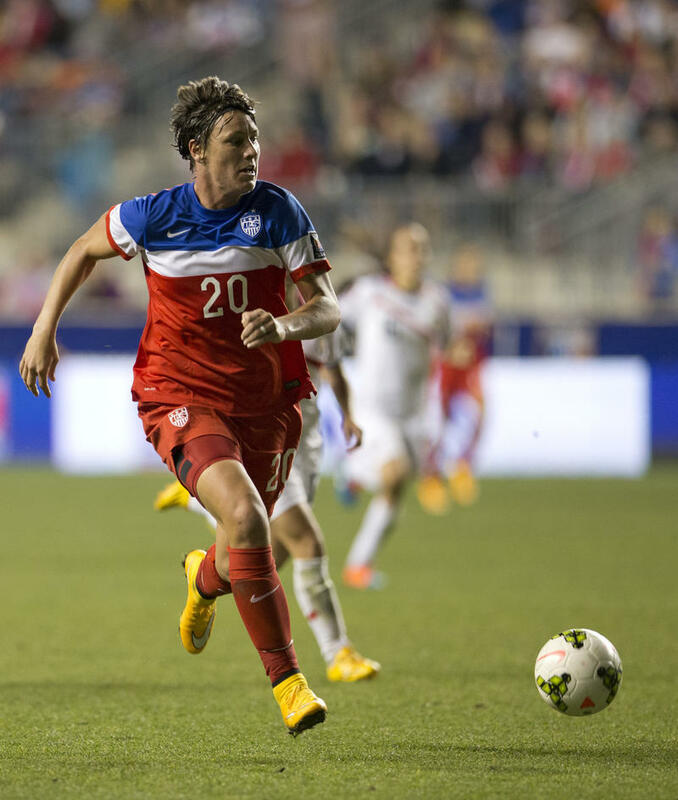 U.S. veteran Abby Wambach, making her second start of the World Cup, scored her first goal of the tournament and the 183rd of her storied international career to push the Americans past Nigeria on Tuesday in Vancouver, Canada. The 1-0 victory allowed the U.S. to win Group D and advance into the elimination rounds, where they'll face another group's third-place team on Monday, followed by a possible matchup against Cameroon or China later next week. If you watch the United States play Nigeria at the Women's World Cup tonight — kickoff is at 8 p.m. — you'll keep your eyes on the field. After all, it's an important match. 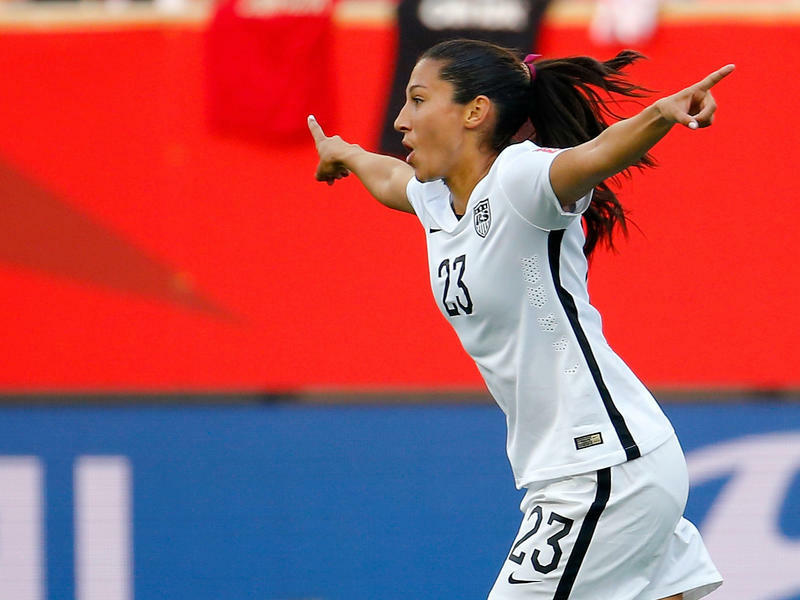 A win or a tie, and the U.S. is guaranteed to advance to the knockout round. Even with a loss, the U.S. could still move on. Nigeria is the best team from Africa. But maybe you should look at the stands instead. 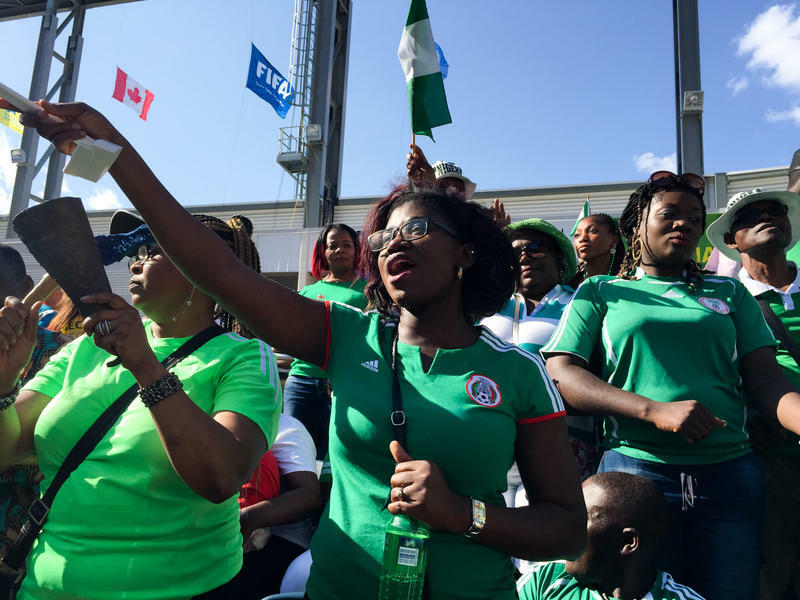 Nigerian fans are an attraction in their own right. Decked out in bright green T-shirts and waving flags, they stand, cheer, party, play trumpets and drums, dance and sing. The U.S. and Sweden fought to a 0-0 tie in Winnipeg on Friday night — a disappointing result against the Americans' trash-talking former coach, but enough to keep them in control of their group at the Women's World Cup. The U.S. struggled to maintain control in the Swedish half for much of the game, and had a hard time connecting on their longer passes forward. Two header attempts off corners around the 72nd minute were tipped over the crossbar and went wide right, and a frenzy in the final minute of extra time came up empty. Forward Christen Press scored in the 61st minute and Megan Rapinoe scored her second goal of the match in the 78th minute for the Americans, who beat Australia 3-1. Combined with the 1-1 tie between Sweden and Nigeria earlier on Monday, the U.S. has a strong lead in its World Cup group. 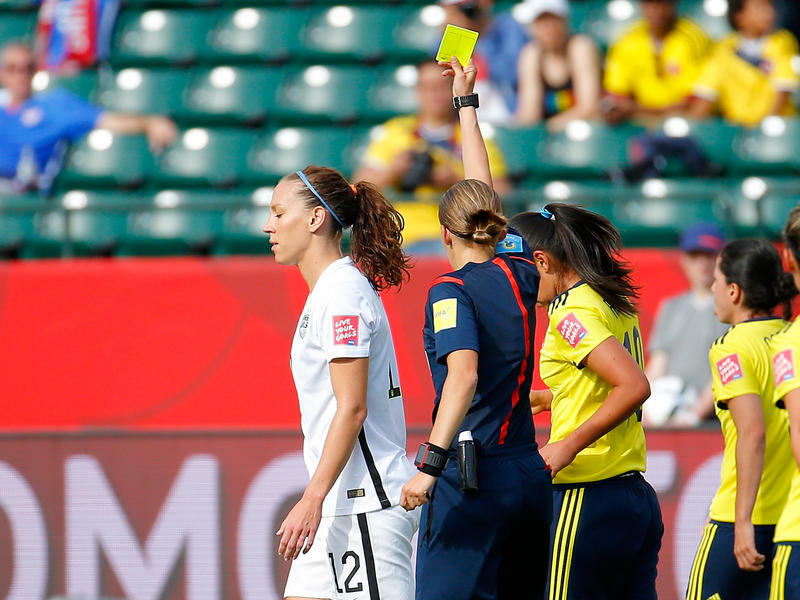 Rapinoe also was issued a yellow card in the second half, as was U.S. midfielder Lauren Holiday. Goalie Hope Solo had five saves. At Wallops Island, Virginia, investigators have spent the day picking through debris around a launchpad. Last night, crowds gathered to watch from a distance as an unmanned cargo rocket took off, and exploded. 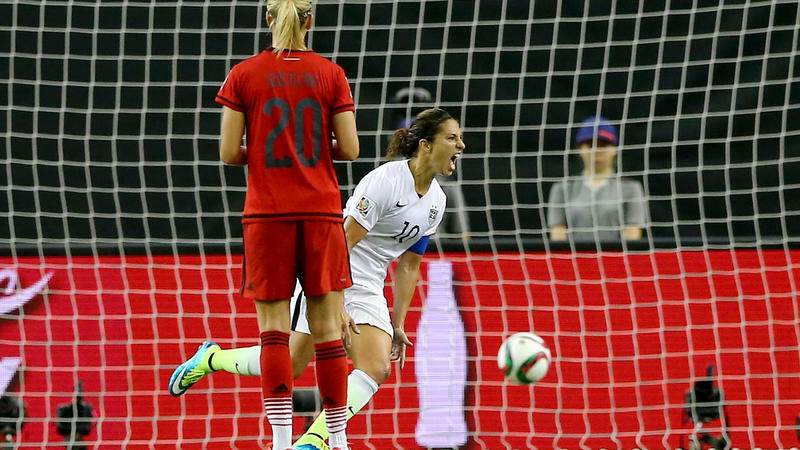 The U.S. Women's National Soccer Team showed why it's the top-ranked squad in the world. 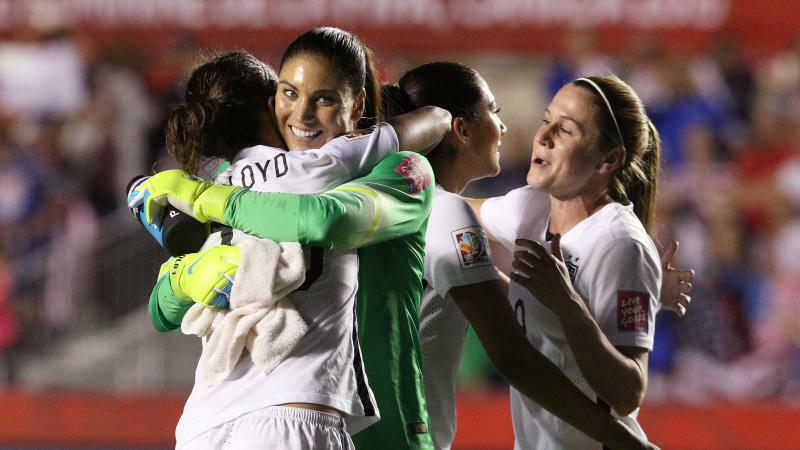 It won the CONCACAF tournament Sunday with a near-perfect 6-0 final game against Costa Rica. The U.S. has had an easy run during this World Cup qualifying tournament for the North American, Central American and Caribbean Region. The United States had already qualified for next year's World Cup with a victory in the semifinals against Haiti. 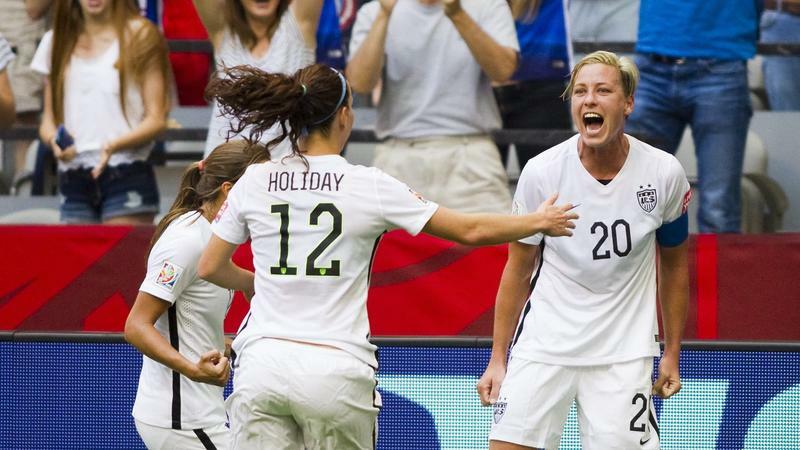 Sunday's win over Costa Rica further cemented the U.S. dominance. 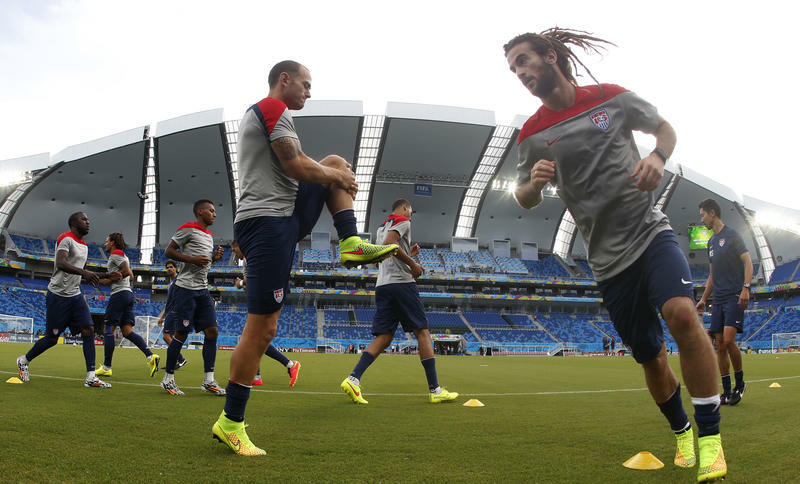 The United States will have a presence at today's semifinal World Cup match between Brazil and Germany. 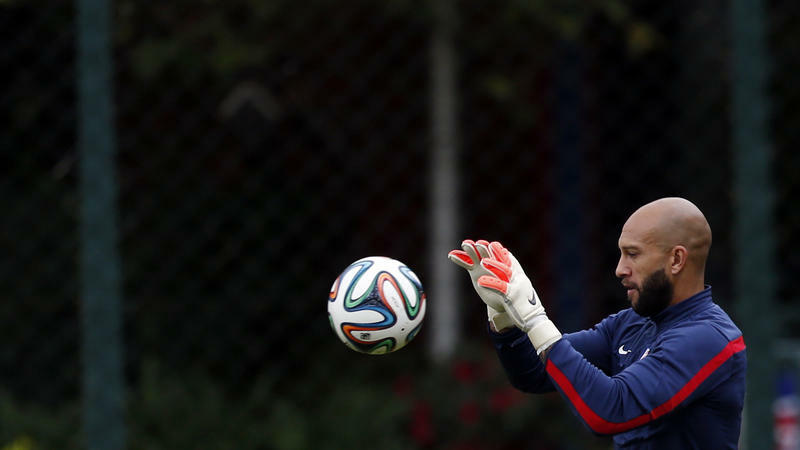 It won't be the U.S. National Team on the field, but American referee Mark Geiger. 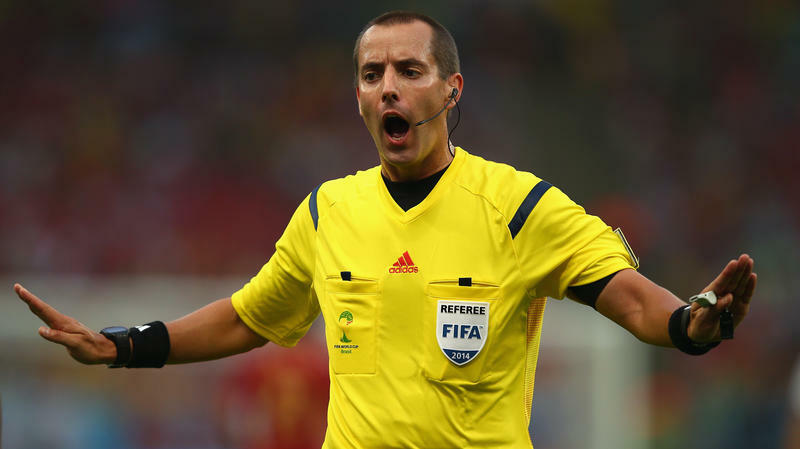 FIFA selected Geiger to be on the officiating crew of the high-stakes match. It's the first time a U.S. referee has been used this late in a World Cup. The stadiums of the 2014 World Cup in Brazil are all different, constructed to reflect the region. Natal's arena has a wavy beach-dune style, while the stadium in Manaus looks like a woven basket. Inside those stadiums, however, you'd never know you're in Brazil. Budweiser is an official beer seller, and Coke has the soda market cornered. Other menu items include hot dogs, cheeseburgers and turkey sandwiches. 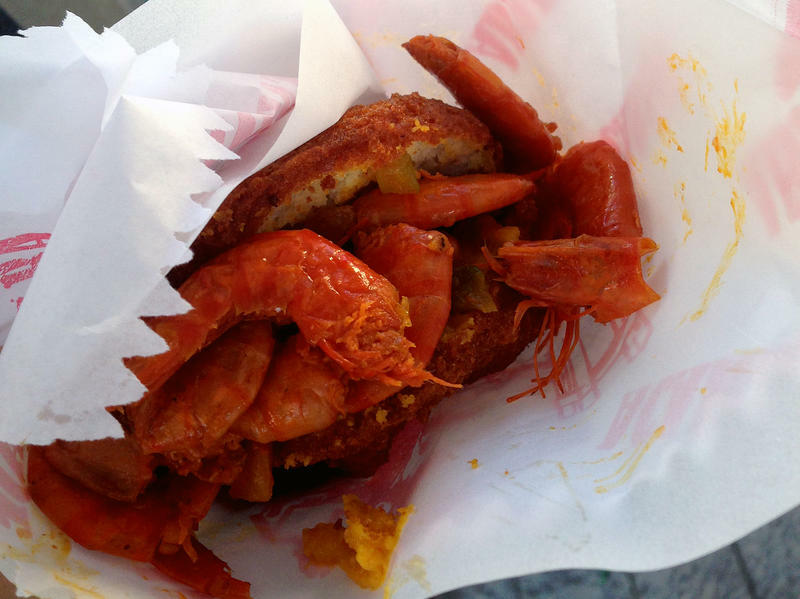 It's almost impossible to find any Brazilian fare on the menu. The World Cup round of 16 in Brazil is taking shape. Already in: Argentina, Chile, Colombia, Costa Rica and the Netherlands. The big question: Will the United States join that distinguished list today? The U.S. soccer team has a tough matchup against Portugal. Win, and the Americans are in. Lose or tie, and the road gets a lot tougher with next Thursday's game against Germany. We go now to the World Cup in Brazil where tonight this was the sound of raw American jubilation. 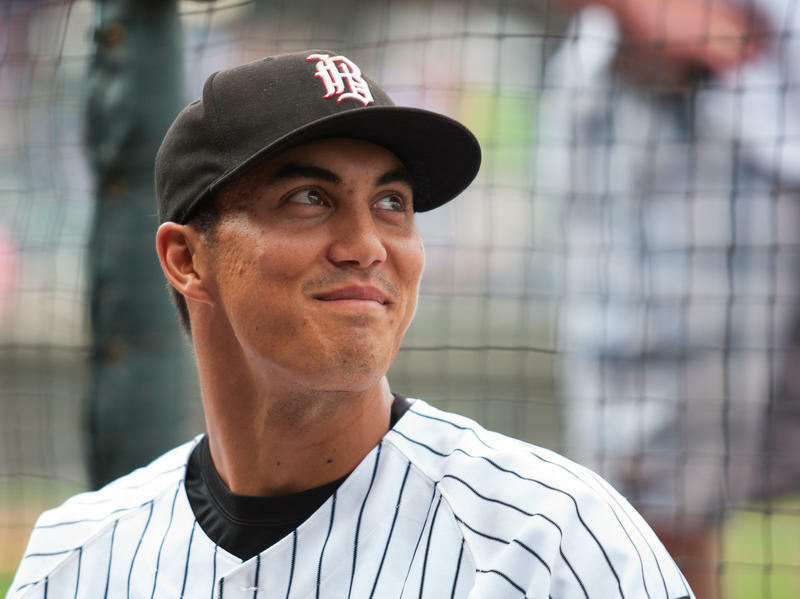 Tyler Saladino is one of thousands of minor league baseball players hoping to make it to the major leagues. He plays in Alabama for the Birmingham Barons, the AA affiliate of the Chicago White Sox. Last year, NPR profiled Saladino. But since then, maybe things have changed for the 23-year-old infielder. New details about one of Mississippi's most infamous murders are coming to light — more than a half-century later. 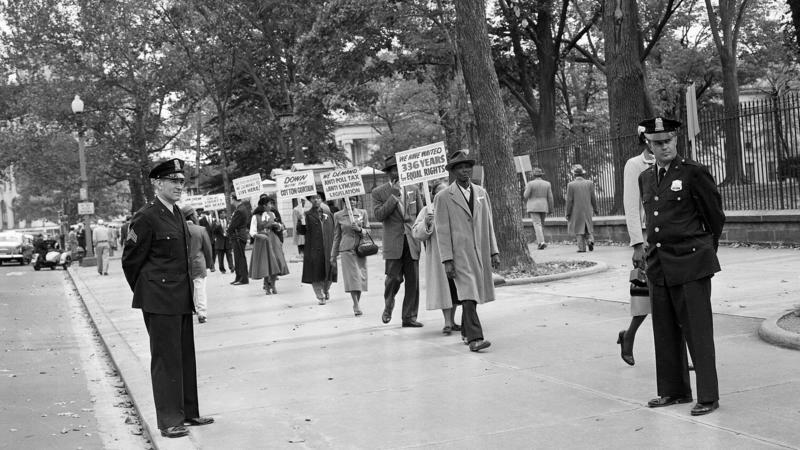 The death of Emmett Till, a 14-year-old black boy who allegedly whistled at a white woman, helped spark the civil rights movement. Till lived in Chicago, and was visiting his relatives in the Mississippi Delta when he was murdered. His body was mutilated and dumped into a river. The accused were the woman's husband and her half-brother, and their trial drew reporters from both the white and black press. Now let's come back to the United States for this next story, because over the past few years, more than a dozen American airports - big and small - have renovated or added new terminals. The latest in Birmingham, Alabama opens today. In Anchorage, Alaska, on Saturday, the "Last Great Race on Earth" begins. 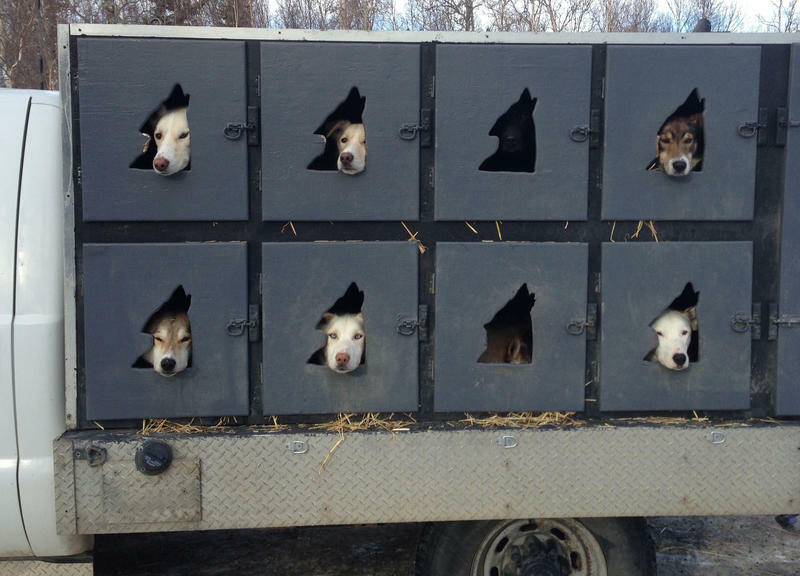 Sixty-seven sled dog teams will start the 998-mile Iditarod race across the barren, frigid and unforgiving land. In this year's competition, there are a handful of first-time racers — but those aren't the only rookies. One is veterinarian Greg Reppas, whose job is to ensure the dogs are healthy throughout the race. Her name was Emilie Parker. Six years old. Long, flowing blond hair, piercing blue eyes and a sweet smile. 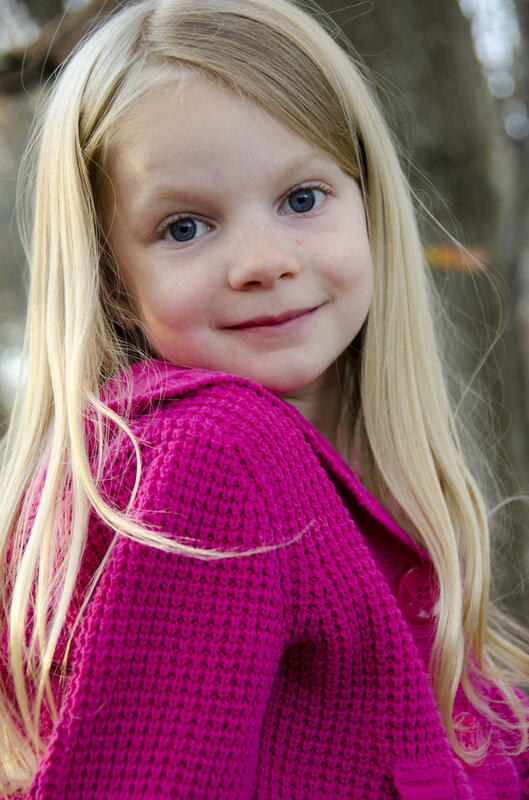 Emilie was one of the 20 children killed on Friday at Sandy Hook Elementary School. As we learn the names of the victims, we're also learning their stories.